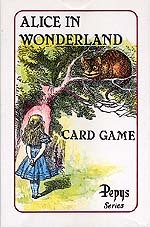 Alice In Wonderland Card Game. Sir John Tenniel's original drawings are faithfully reproduced. A collecting game for children 5 years old upwards.